Skål to IKEA’s Easter Smorgasbord! 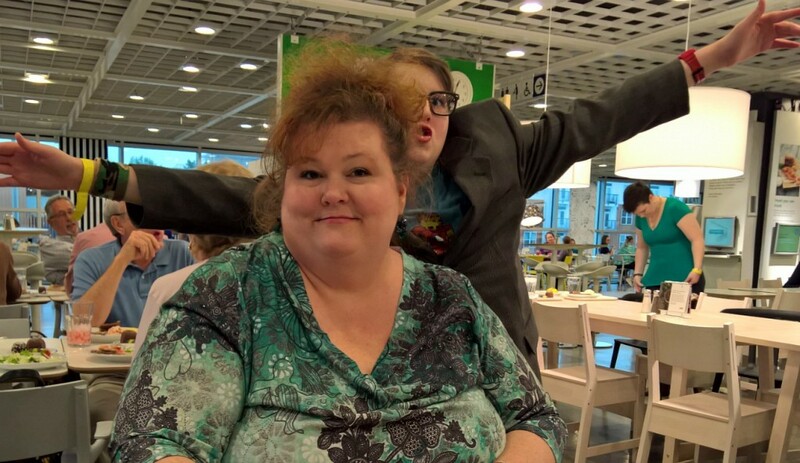 As promised, I’m back to share my review of my family’s journey to IKEA Atlanta, to partake of their Easter Paskbord. 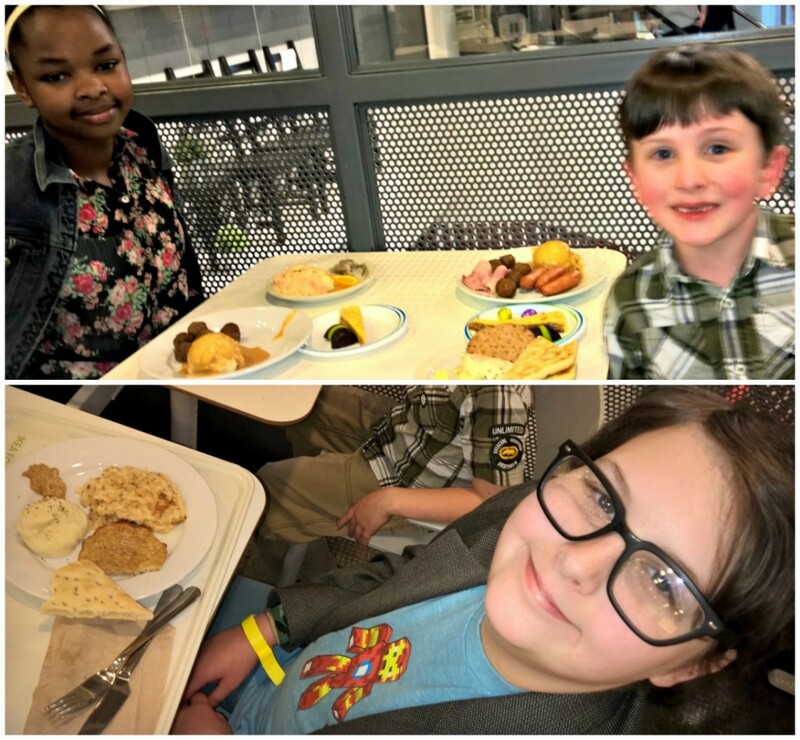 All five of us tried some new foods and gave the experience two thumbs up! 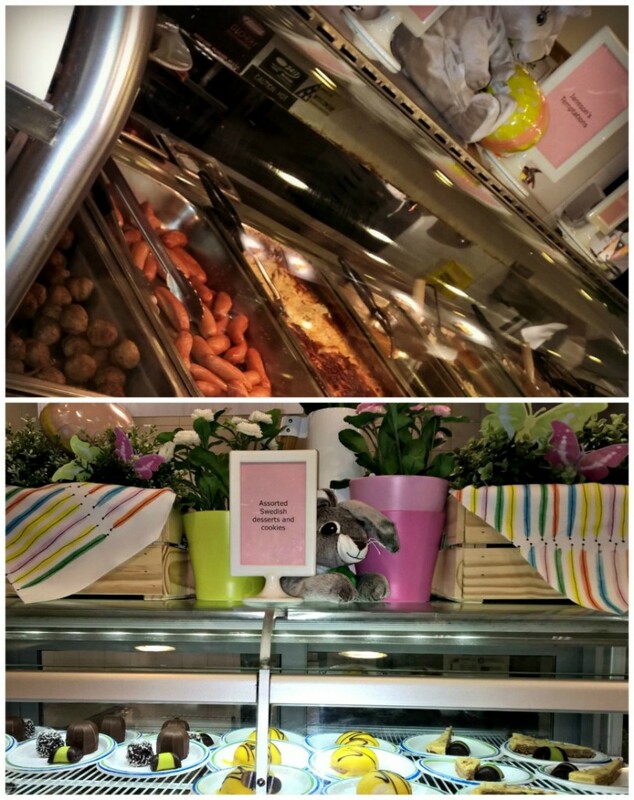 Everything was decorated festively for spring. There were little bunnies, eggs and flowers everywhere. 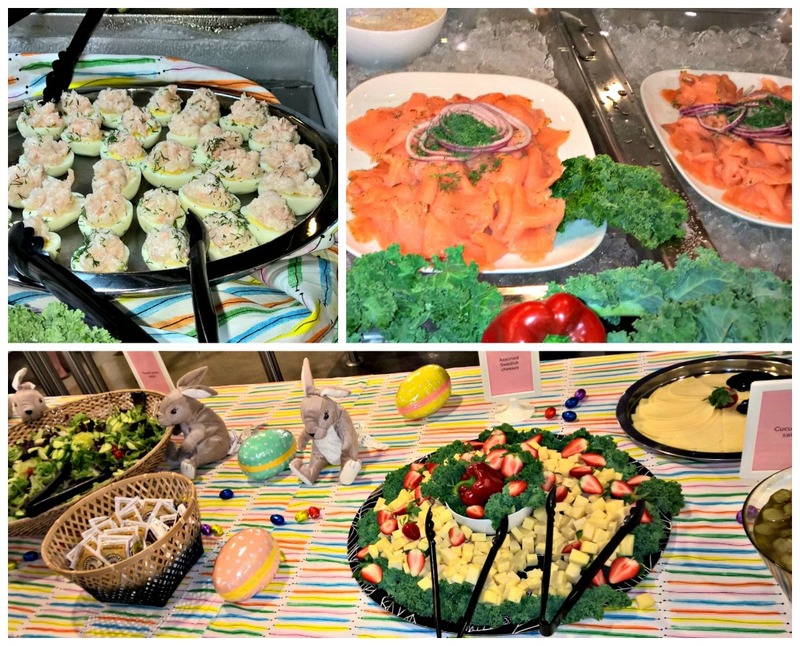 Starters included salads, pickles, assorted Swedish cheeses, deviled eggs topped with shrimp and mayonnaise, and salmon prepared in a variety of ways. I could hardly believe my husband tried the raw marinated salmon–and liked it! I also tried pickled herring for the first time ever, and it was actually quite tasty. If you enjoy the flavor of pickled things, and the texture of sushi, you’ll enjoy herring, too. Entrees and desserts were served in the usual IKEA cafeteria line. The servers dished up huge portions–I don’t think any of us were able to clean our plates, and only the boys had room to go back for seconds, making the $16.99 price a remarkable bargain, in my opinion. The entree plate is on the left and included mashed potatoes with gravy, prinskorv (sausages that reminded me of hot dogs), potato pancakes, meatballs and Jansson’s Temptation, a gratin-style potato casserole flavored with salted fish (which I didn’t bother mentioning to anyone at my table until after they tried and it and loved it!). 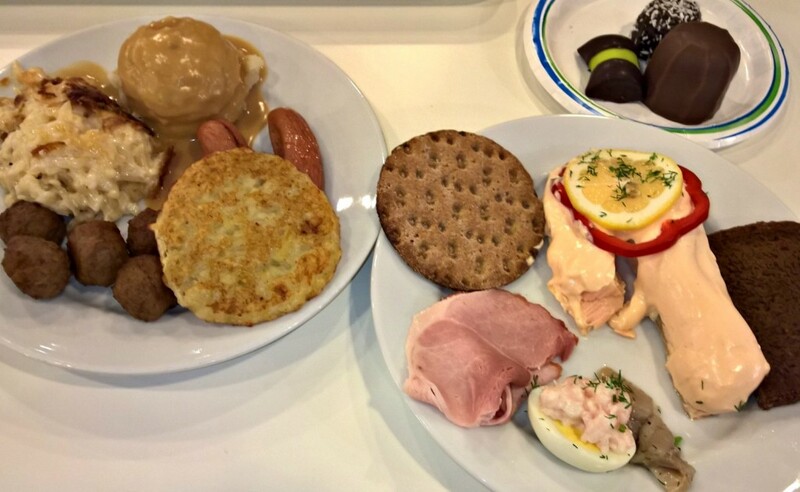 The appetizer plate on the right contains a huge portion of cold poached salmon topped with a seasoned mayo-type sauce, brown bread, pickled herring, a shrimp-topped egg, cold Swedish ham and crispbread. I’m bummed that I forgot to get some of the cucumber salad, but at that moment, Jonah had a near-accident with his tray and distracted me! I’m not sure what any of the items on the dessert plate were called, but the tall chocolate candy was filled with marshmallow creme, the coconut truffle had a coffee-flavored center, and the green one reminded me of the pistachio-citrus-cherry flavor of spumoni. My kids are often picky eaters, in different ways, but all of them found several foods to enjoy. As you can see, Eli’s plate is all-beige, but that’s because he doesn’t like fish and isn’t a big fan of ground beef, either. Even so, he went back for a second helping of Jansson’s Temptation, despite it containing fish! The only disappointment of the evening is that we couldn’t find any of the promised Paskmust to sample. Eli, especially, was looking forward to trying this soda purported to taste like a cross between root beer and Dr. Pepper. Maybe next time. All in all, it was a really tasty dinner, at a good price, and I highly recommend that you try it out next Easter! I am quite certain we’ll be back.